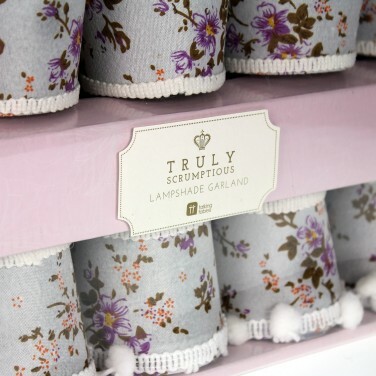 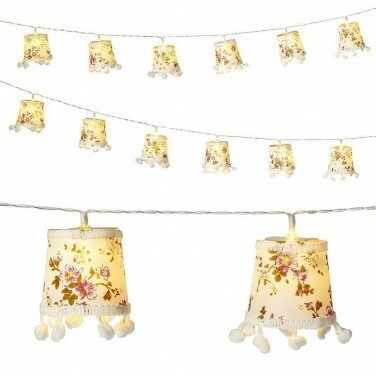 Full of character, Truly Scrumptious string lights feature ten vintage styled floral shades, each lit with a warm white LED. 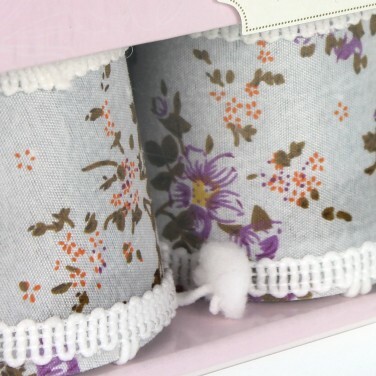 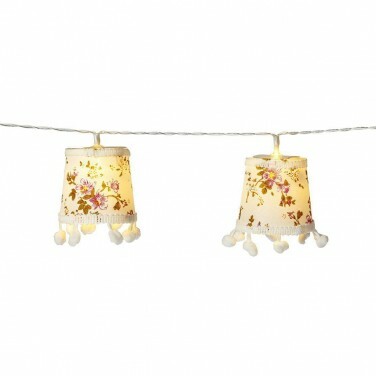 Delightfully twee, these decorative string lights can be hung around features in your home or look fantastic bunched up and hung vertically as a nod to modern shabby chic. 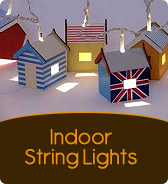 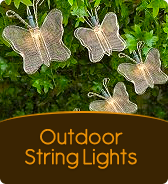 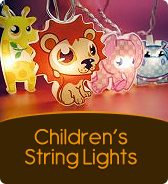 Battery operated, place these enchanting string lights anywhere in your home for a warm and cosy glow. 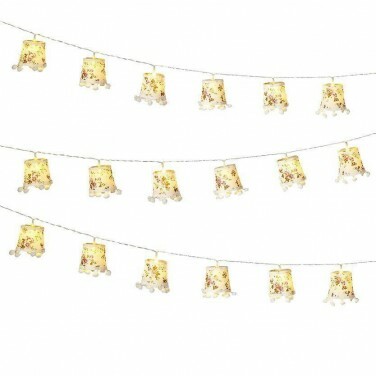 Hand crafted metal roses and warm white LEDs make this light chain a stunning addition to your garden.